I did not expect much from this film made by a not so successful director, a new producer (John Abraham) and a cast led by a TV anchor and a soap actress. However, director, Shoojit Sircar’s Vicky Donor surprised me with good writing, fine performances and its overall entertainment value. Full marks for writer, Juhi Chaturvedi who handled a taboo subject like sperm donation so well and came up with a witty screenplay that never gets insensitive or vulgar. 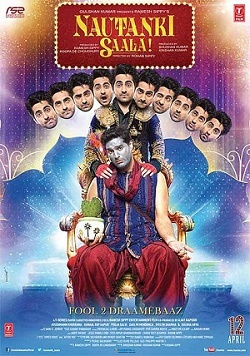 Vicky Donor is a young Punjabi boy, Vicky Arora’s (Ayushmann Khurrana) story who aspires to get a respectable job but like many youngsters today, is lazy to go out and do something about it. He stays in Lajpat Nagar with his mother Dolly (Dolly Ahluwalia) who runs a beauty parlor and Biji (Kamlesh Gill), his grandmother who wants a 32GB iPhone and 42inch LCD TV. Vicky is pursued by Dr. Baldev Chaddha (Annu Kapoor), a fertility expert, to donate his sperm as he is a true ‘Aryaputra’ (of Aryan descent). Vicky sees easy money in this scheme and after a lot of convincing by Dr. Chaddha, he agrees to become a sperm donor. His life starts changing when he falls in love with a Bengali bank executive, Ashima Roy (Yami Gautam). Both Yami and Ayushmann are confident and have great screen presence; they also look good together and are relatable. Their love story has loopholes, like the girl and her family being completely blind to what the guy does, but all that can be ignored. However, trouble begins in the second half where the story falters a bit more. The conflict and the final resolution are nothing great and pale in comparison to the stellar first half. Juhi Chaturvedi has written fabulous dialogues and there are funny moments throughout the film, therefore she can be forgiven for the silly climax. The supporting cast is absolutely brilliant, especially Kamlesh Gill as Biji who is progressive and has a great sense of humour. Annu Kapoor is good but gets a little irritating as the part where he convinces Vicky is really stretched. Actors playing Ashima’s father and aunt are also good; there is a fabulous sequence of Bengali vs. Punjabi conflict and they shine through against the ‘uncultured’ business minded Punjabis. Shoojit Sircar has a done a fine job with the film and it would have been perfect if he got the editor (Shekhar Prajapati) to cut it short by at least 20-minutes. Go watch Vicky Donor this week in theatres, you won’t regret it.